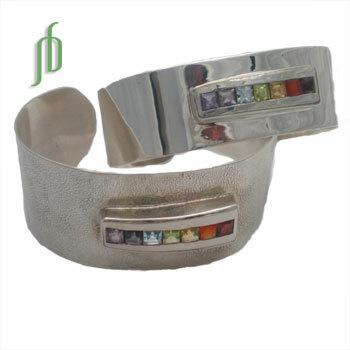 The seven stones of the chakras form a ray of color on this gorgeous cuff bracelet. 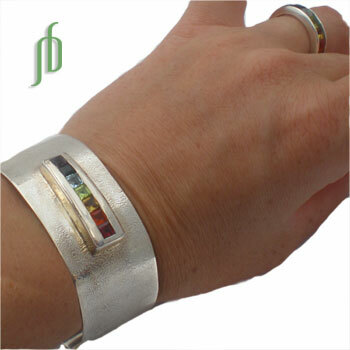 The bracelet is adjustable and you can choose from a plain or pounded cuff. Purity. Beautiful chakra pendant with the stones of the seven chakras. Semi-precious gemstones are: garnet, carnelian, citrine, peridot, apatite, iolite and amethyst.